Big Train Overcome Deficit; Health Night TONIGHT; BT Players in Pro Ball! 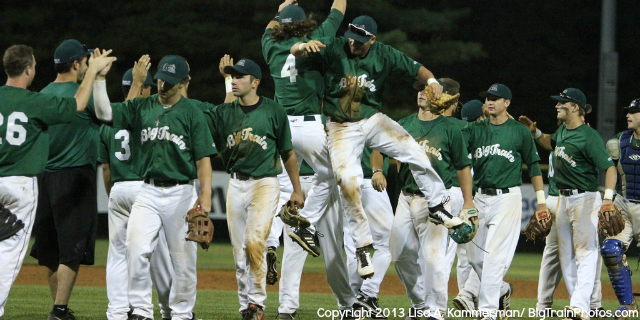 The Big Train traveled to Knight Stadium on Saturday night to take on the Rockville Express who sat in second place behind the Big Train at the beginning of the day. 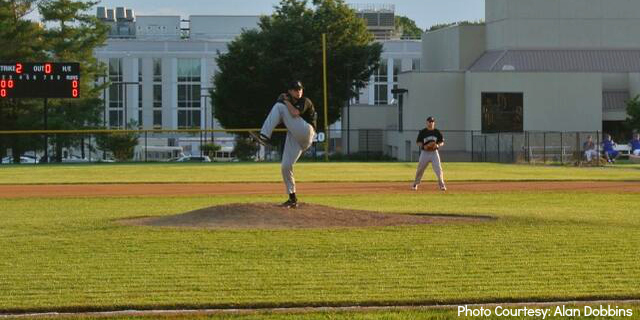 Danny Mooney (Davidson) - pictured above - got the start for the Big Train, and gave the team five solid innings. Mooney gave up just two runs on five hits and a walk while striking out three. In the sixth inning, Bubba Derby (San Diego State) would come in to relieve Mooney with the Big Train trailing 2-1. He would give the team near-perfection on the mound, giving up no hits and two walks while striking out four over the last four innings of the game. After Tim Yandel (Tulane) and Mike Miedzianowski (High Point) picked up a pair of hits in the seventh inning, Tucker Tobin (George Mason) would come up big with a one-out, two-RBI double to give the Big Train the 3-2 lead. Derby picked up his fourth win and continues to hold a perfect earned-run average. He leads the CRCBL in both statistics. The Big Train return home on Sunday to take on the Youse's Orioles at Povich Field. Make sure to come out early for Health Night at the ballpark! The gates open at 6:00, there's a free Zumba Class at 6:30, and first pitch is at7:30 PM. Tickets can be purchased here or at the gate. Hugh Adams, RHP (BT 2006-12) St. Paul Saints (American Assn - IND) 0-0, 27.00 ERA in 1 game. Martin Agosta, RHP (BT 2011) Augusta Greenjackets (So. Atlantic Lg. - Lo A) 7-2, 2.20 ERA in 13 games. Michael Aldrete, RHP (BT 2011) Peoria Chiefs (Midwest Lg. - Lo A) 1-2, 1 Save, 5.08 ERA in 21 games. 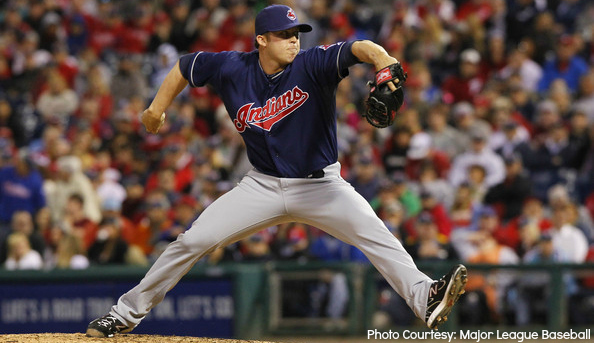 Cody Allen, RHP (BT 2008 & 2010) Cleveland Indians (American League - MLB) 2-0, 1 Save, 1.97 ERA in 31 games. Michael Bass, 2B (BT 2011-12) Eugene Emeralds (Northwest Lg. - ss-A) .222 in 6 games. Matt Bowman, RHP (BT 2010-11-12) St. Lucie Mets (Fla. State Lg. - Hi A) 4-1, 2.52 ERA in 8 games; after starting season with Savannah Sand Gnats (So. Atlantic Lg. - Lo A) 4-0, 2.64 ERA in 5 games. Collin Cargill, RHP (BT 2007) Jacksonville Suns (Southern Lg. - AA) 1-1, 1.17 ERA in 19 games; after starting season with Jupiter Hammerheads (Fla. State Lg. - Hi A) 0-0, 0.00 ERA in 5 games. Mike Costanzo, 3B (BT 2003) Syracuse Chiefs (International Lg. - AAA) Hitting .225 with 9 HR and 28 RBI in 56 games. Tucker Donahue, RHP (BT 2011) Lansing Lugnuts (Midwest Lg. - Lo A) 2-2, 5.85 ERA in 26 games. Ryan Doran, RHP (BT 2012) AZL Diamondbacks (Arizona Lg. - Rookie) 1-0, 0.00 ERA in 1 game. Brian Dozier, 2B (BT 2006) Minnesota Twins (American Lg. - MLB) .226, 7 HR, 25 RBI in 63 games. Chris Duffy, 3B/1B/OF (BT 2007) New Jersey Jackals (Canadian-American Lg. - IND) .269, 3 HR, 18 RBI in 36 games; after starting season with Camden Riversharks (Atlantic Lg. - IND) .000 in 3 games. Ryan Garton, RHP (BT 2011) Bowling Green Hot Rods (Midwest Lg. - Lo A) 0-3, 4 Saves, 4.08 ERA in 24 games. Ben Griset, LHP (BT 2012) Hudson Valley Renegades (NY-Penn Lg. - ss-A) 0-0, 3.60 ERA in 2 games. Carlos Gutierrez, RHP (BT 2005) Daytona Cubs (Florida State Lg. - Hi A) 0-0, 0.00 ERA in 1 game; after starting season with AZL Cubs ( Arizona Lg. - Rookie) 0-0, 0.00 ERA in 1 game. Both of these games were rehab assignments in recuperation from 2012 shoulder surgery. Terry "T. J." Hose, RHP (BT 2004) Long Island Ducks (Atlantic Lg. - IND) 1-1, 3.52 ERA in 22 games. Placed on inactive list on 6/21/13. Alex Hudak, OF (BT 2011) Lexington Legends (So. Atlantic Lg. - Lo A) .176 ini 6 games; after starting season with Wilmington Blue Rocks (Carolina Lg. - Hi A) .202, 2 HR, 10 RBI in 26 games. Brenden Kalfus, OF (BT 2011) Vancouver Canadians (Northwest Lg. - ss-A) .278 in 10 games. Bobby Livingston, LHP (BT 2001) Sugar Land Skeeters (Atlantic Lg. - IND) 3-3, 7.10 ERA in 7 games. Released in June after 12 years of pro baseball experience. Matt Long, OF (BT 2006) Salt Lake City Bees (PCL - AAA) .289, 5 HR, 19 RBI in 39 games; after starting season with Arkansas Travelers (Texas Lg. - AA) hitting .311 with 3 HR and 19 RBI in 32 games. John Maine, RHP (BT 2000) Now a free agent, after starting season with Miami Marlins (National League) 0-0, 12.27 ERA in 4 games. Has had 12 years of pro baseball experience. Joe Mantiply, LHP (BT 2010) Connecticut Tigers (NY-Penn Lg. - ss-A) 0-1, 1.59 ERA in 3 games. Michael McKenry, C (BT 2004) Pittsburgh Pirates (National Lg. - MLB) Hitting .202 with 3 HR and 10 RBI in 30 games. Brennan Middleton, SS/2B/3B (BT 2010-11-12) Auburn Doubledays (NY-Penn Lg. - ss-A) On Disabled List, so he has no record yet. Ethan Miller, RHP (BT 2012) AZL Giants (Arizona Lg. - Rookie) 0-0, 40.50 ERA in 1 game. Cole Norton, OF (BT 2012) Grand Junction Rockies (Pioneer Lg. - Rookie) .294 in 6 games. Dustin Pease, LHP (BT 2005-06) York Revolution (Atlantic Lg. - IND) 0-0, 7.50 ERA in 6 games. Retired in May after 7 seasons of pro ball. Drew Permison, RHP (BT 2010) Vancouver Canadians (Northwest Lg. - ss-A). On Disabled List, so he has no record yet for this season. Jimmy Reed, LHP (BT 2010) State College Spikes (NY-Penn Lg. - ss-A) 0-0, 1 Save, 0.00 ERA in 2 games. Danny Stienstra, 1B (BT 2008-09-10) Palm Beach Cardinals (Florida State Lg. - Hi A) .280, 2 HR, 22 RBI in 70 games. Nick Vickerson, 2B (BT 2010) Hickory Crawdads (South Atlantic Lg. - Lo A) .238, 3 HR, 13 RBI in 36 games. Elliott Waterman, LHP (BT 2011) Auburn Doubledays (New York- Penn Lg. - ss-A). 0-0, 7.20 ERA in 3 games. Matt Wickswat, LHP (BT 2006) Windy City Thunderbolts (Frontier Lg. - IND) 2-4, 5.58 ERA in 7 games. Justin Wright, LHP (BT 2008) Springfield Cardinals (Texas Lg.- AA) 0-1, 3.90 ERA in 25 games. If you like the idea of warding off cancer with a simple cup of tea, I've got good news. New evidence shows chamomile tea contains a super powerful chemical that not only blocks the spread of cancer, but also shortens the life of a cancer cell. There's something that you should know about the vitamins you're taking. Because vitamins aren't as strictly regulated as pharmaceutical drugs, a lot of times the labels don't warn you that you could be taking a harmful dose of vitamins simply by mixing them with other vitamins and nutrients found in every day foods. My name is Dr. David Juan and I've been a practicing medical doctor for over 30 years. When it comes to the dangerous interactions of foods, drugs and vitamins, I've got the qualifications to back up what I'm talking about. To see the dangerous and hidden pitfalls of today's most popular supplements, watch this now. In a recent study by scientists at Ohio State University, published in the journalProceedings of the National Academy of Sciences, apigenins were found to be effective in teaching cancer cells "who's boss." I mean that in the literal sense. Apigenins appear to play a role in gene regulation, essentially reprogramming cancer cells so they act more like normal cells and die on schedule. This is key, because one of the reasons cancer cells can so quickly take over is their ability to prevent apoptosis -- regularly-scheduled cell death. One of the most striking discoveries in this body of research is that apigenins could potentially stop the spread of breast cancer. The latest research suggests apigenin binds to one of three types of proteins, each with a specific function. One of those proteins is called hnRNPA2. In a healthy hnRNPA2 protein, only one type of "splicing" takes place. The Ohio State researchers found that apigenin binds with at least 160 proteins in the human body. This is highly significant, given that most pharmaceutical-based drugs can only target one molecule. The theory now is that perhaps other "nutraceuticals" (nutrients with known health benefits) can also bind to and affect more than one protein at a time. The fact that apigenins can have relationships with so many specific proteins may be why they're able to reestablish a normal lifecycle in cancer cells. And now that scientists have gotten such valuable findings from exploring the effect of a natural compound on cancer cell research, it's fair to say more exploratory research regarding nutraceuticals is on its way. If you read a newsletter like this, you know it's smart to eat healthy foods -- but mainstream medicine hangs back because there's often not enough research on how specific nutrients affect us. That's starting to change, and that's the reason understanding the role of apigenin is so significant. In a world where conventional scientists hate to recommend a medicinal substance without understanding the specific way it acts in the body, research like this brings them a step closer to supporting nutritional solutions to disease. What's more, apigenins' profound health effects aren't limited to cancer treatment. They also have known anti-inflammatory properties. Consumed on a regular basis, they can help combat other health issues like heart disease and high cholesterol. I'd caution you not to wait till science proves everything. Drink chamomile daily over the long term to reap the most health benefits. I should mention that chamomile has a reputation for being a sleep aid, so you may want to drink it at night. Taken first thing in the morning, it might slow you down. Zach Morris (Maryland) got the start for the Big Train, and gave up just four hits and a walk over five innings. However, Morris would give up four runs, including three in the first inning. The Big Train would rally in the fifth to bring the score closer. After back-to-back hits by Tyler France (San Diego State) and Tim Yandel (Tulane),Ryne Willard (Tallahassee CC) would hit a groundball to score France and make the score 4-1. Will Resnik (High Point) gave the Big Train two shutout innings out of the bullpen, keeping the team in the game. However, the offense failed to score a run in the final two innings, and the Big Train went on to lose 4-1. Despite the loss, the Big Train still boast a 12-4 record, good for a 2.5-game lead over the second-place Southern Maryland Nationals. They'll look to build on that lead on Thursday, as they host the Nationals at Povich Field at 7:30 PM. Lose weight... improve muscle tone and skin elasticity... and recover your youthful physique. Those odds are alarming when you consider that tough economic times have driven bankruptcies sky high for people who aren't dealing with a cancer diagnosis! Study co-author Karma Kreizenbeck says that while their paper shows how cancer causes patients to run up medical debts that can lead to bankruptcy, "it could also mean people have to take second jobs, end up with lower credit scores or have to make other decisions." If you're already emotionally and physically exhausted from dealing with disease, the last thing you need is the stress of worrying about how to pay for treatments. Doctor appointments—Even when you have medical insurance, you typically are responsible for a co-payment for each visit. The amount of the co-pay is set by the insurance company and can really add up when visits are frequent. What's more, you'll often be on the hook for separate charges associated with each laboratory test done as part of your appointment. Treatment expenses—These include charges for any medical care, such as radiation and chemotherapy sessions, that you receive during your cancer treatment. A study from Duke University Medical Center and Dana-Farber Cancer Institute3 showed that 215 insured cancer patients reported spending an average of $712 a month in out-of-pocket expenses. And even insured women with breast cancer can expect to shell out anywhere from $150-200 weekly for radiology visits if they have high insurance co-pays! Because cancer treatment can take anywhere from a few days to months or years—you'll need a doctor or nurse to help you determine how often and for how long you may incur these out-of-pocket costs. Medication costs—It's likely your share of the cost of cancer drugs will be high. So count on shelling out B-I-G bucks for chemotherapy plus other medicines to help relieve side effects. Transportation—Don't overlook gas and other expenses you may have when traveling to and from your treatment facility. And if you're seeking treatment outside of your home state, you'll have to foot the travel costs for tickets, lodging and food while you're away. Of course, some of the most effective treatments are natural foods and supplements that don't cost very much at all. I firmly believe, based on the people we've interviewed during the last eight years, that patients can beat cancer on their own at home or by working with an alternative doctor on an outpatient basis. Particularly for late-stage cancer patients, I believe the conventional treatments are almost worthless and you're better off with alternatives. Don't waste your last dollar on the chemo treatment that's supposed to give you two more months (it probably won't). 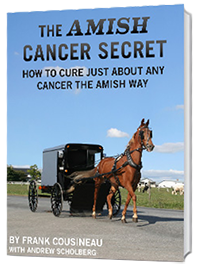 Try the kinds of things Bill Henderson recommends in How to Cure Almost Any Cancer at Home for $5.15 or Day, or that Ty Bollinger recommends in The 31-Day Home Cancer Cure. These are proven, validated cancer protocols that work for a lot of people. They don't work for 100 percent of patients — that's not realistic -- but I'm convinced they have a MUCH higher success rate for late-stage cancer than do conventional treatments. But if you're an early-stage cancer patient you may decide to roll the dice on conventional treatments, or maybe you want to combine conventional and alternative therapies. Or perhaps you have a family member with cancer who won't consider alternatives. In that case, you may need to brace yourself for a financial shock. In Issue #268, we covered a variety of resources that are available to people in the mainstream medical system and — sometimes — to patients undergoing alternative treatments. I suggest you take a look at that issue, and make sure you aren't missing any help that might available. And "Obamacare" -- the new federal law officially known as The Affordable Care Act -- is supposed to make healthcare more affordable and available to people diagnosed with cancer and other grave diseases. We'll see. 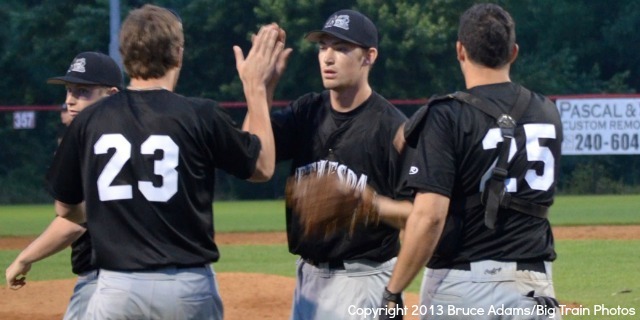 After a brief road trip to Herndon on Sunday, the Big Train returned home to Povich Field on Monday to host the Vienna Riverdogs in a doubleheader. Due to the nature of the doubleheader, each game was seven innings long. Bubba Derby (San Diego State) started Game 1 for the Big Train, and pitched a near-perfect game. Derby pitched a complete-game shutout for Bethesda, giving up just two hits and a walk over his seven innings of work while striking out six. Derby was also able to work very quickly, as the game lasted just one hour and 27 minutes. The Big Train offense was present to give Derby run support in Game 1, managing to push across four runs. Two RBIs from Tucker Tobin (George Mason) and multi-hit games from Kyle Wernicki (Virginia Tech) and Ricky Santiago (Florida Atlantic) paved the way for the Big Train offense, as the team scored four runs in their 4-0 victory. Luis Collazo (Virginia Tech) took the mound for Bethesda in Game 2, and also gave the team a high-quality start. Collazo went 4.2 innings, also giving up just two hits and a walk. He would have a chance to pitch with an early lead, as an RBI single by Tim Yandel (Tulane) in the first inning gave the Big Train a 1-0 lead. However, Collazo would yield the tying run in the fifth inning, and Cody Mizelle (Florida Atlantic) would work the final 2.1 frames for the Big Train.Mizelle gave Bethesda exactly what they needed out of the bullpen, putting together a perfect line (0 R, 0 H, 0 BB) in his 2.1 innings of work. The offense would reward Mizelle for his efforts, as Yandel and Johnny Cole (Coastal Carolina) scored in the bottom of the sixth to give the Big Train the 3-1 lead. The lead would stand, and Mizelle picked up his second win of the season. In five appearances thus far, Mizelle has not given up a single run. With the two-game sweep, the Big Train now find themselves in first place with a three-game lead in the CRCBL Standings. Having won eight out of their last 12 games, the Big Train are now 12-3, with three more wins than any other team in the league. The Big Train will finally get a day of rest on Tuesday after playing 11 games in 11 days. The Big Train will then travel to the nation's capitol on Wednesday to take on the D.C. Grays before returning home on Thursdayto take on the Southern Maryland Nationals at Povich Field. Thursday will be Carnival Night, so come on out and enjoy the rides, Petting Zoo and Pony Rides available for kids in the parking lot before the game! Kids will also have the opportunity to run the bases after the game. Tickets to the game can be purchased here or at the gate! 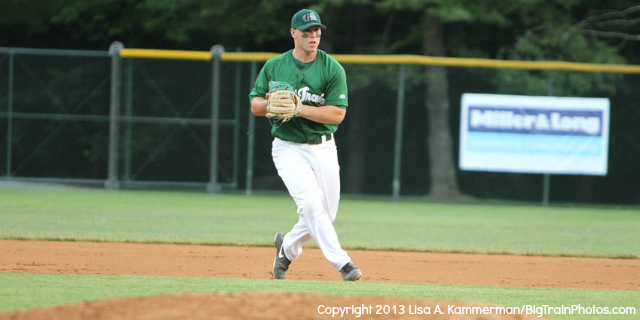 The Big Train sought to avenge Saturday's loss on Sunday, as they played the Herndon Braves in the second half of a weekend home-and-home series. The scoring would get going for the Big Train in the second inning. After the team loaded the bases with one out, Ricky Santiago (Florida Atlantic) hit an RBI single and Parker Guinn (Washington) followed with a sacrifice fly to put the Big Train up 2-0. An RBI groundout by Ryne Willard (Tallahassee CC) in the sixth broughtTim Yandel (Tulane) home for the second time and the lead extended to 3-0. Most of the Big Train lineup reached base during the seventh inning. The Big Train were able to plate four of those runners thanks to a wild pitch, a fielder's choice, and a passed ball to increase the lead to 7-0. After forcing a pitching change, the Big Train would add two more runs, after Ty France (San Diego St.) laced a single. That made the lead 9-0, but the Braves would rally in the bottom half of the inning, scoring four runs. However, the Big Train would add an insurance run in the ninth to cap the 10-4 victory. With the victory, the Big Train are the first team in the CRCBL to ten wins and hold a 2.5-game lead for first place in the standings. The Big Train will look to build on their 2.5-game lead on Monday, as they host the Vienna Riverdogs for a doubleheader at Povich Field. The games are scheduled for 5:00 PM and 7:30 PM, respectively, and it's Shirley Povich Bobblehead Night! Come out to Povich Field and receive a bobblehead of the stadium's namesake if you're one of the first 500 fans! I'm gonna say some stuff here that you may not want to hear, stuff that goes against what you've been made to believe is healthy. However, if you read the following with an open mind then you're going to come away with a life changing truth about truly healthy eating that will transform your body. It has certainly transformed mine. A few weeks ago I posted the quote below from Mark Sisson, author of The Primal Blueprint, on my facebook page that raised many questions. "There are no requirements in human nutrition for carbohydrates. Grains are totally unnecessary." When looking at the span of human existence, grains have been apart of our diet for only a short time. Grains contain plentiful calories, however they also contain "antinutrients" (compounds that interfere with the absorption of beneficial nutrients), are high in carbs, and have grain protein which are foreign to the human digestive process. A diet high in grains puts stress on the body's insulin regulation mechanism which leaves you susceptible for weight gain and diabetes. Certain grain proteins (ever heard of gluten?) trigger an immune response when ingested. According to researchers, as many as one third of us are gluten-intolerant or gluten-sensitive. Over time this can lead to dermatitis, joint pain, reproductive problems, acid reflux, other digestive conditions, autoimmune disorders, and celiac disease. I don't know why grains are still considered a health food darling while the research against gluten and processed carbohydrates piles up. I too have spent years being duped into thinking that brown rice and whole grain bread was benefiting my body, when in fact it was responsible for the weight I couldn't lose and the indigestion I felt. The day that I stopped eating grains my body naturally began to shed off extra pounds. - Bake a loaf of Almond Bread to replace wheat bread. - Wrap your sandwich in large lettuce leaves. - Eat Kale chips rather than traditional chips. - Bake some Caveman Granola rather than regular cereal. - Swap out regular flour for almond flour in your favorite baking recipe. - Make noodles with a vegetable peeler and a zucchini, or use spaghetti squash. - Try my recipe for Real Healthy Rice, using cauliflower rather than traditional rice. The Divas have defeated Columbus and we are on are way to Boston for the next round of playoffs on July 13. There is still time to help your favorite players and the team with a donation to our travel fund. Thanks for your continued support! -Let us at US Sports Network do our part too. 10% of all proceeds for all new members of GoPro Workouts will be donated to the D.C. Divas Travel fund between now and July 10, 2013. So as you are getting in shape for next season, you will also be lending a helping hand to the real first ladies of football! Click here to get your program and support your Divas! Mainstream Medicine Getting a Clue? Alternative medicine has focused on the power of the immune system and immune-boosting treatments for years. Right here in this newsletter, we cover the many natural remedies known to strengthen the immune system—lactoferrin and colostrum come to mind as two of the most powerful, not to mention a whole slew of mushroom remedies. So it's hard to know whether to laugh or cry when we hear that mainstream medicine has discovered a powerful new tool for fighting cancer: the immune system. Hey, better late than never! At least they're now focusing their massive research budgets in the right direction. With luck, the new drugs they're developing could lead to a revolution in conventional cancer treatment. In their quest to beat cancer, heavy-hitters like Bristol-Myers Squibb and Merck & Co. are now focusing on experimental drugs that work with the human immune system (instead of against it, the way chemotherapy does). The results so far look very promising. Money is at the heart of it, of course, and investors are closely watching the progress of these drug tests. There's a chance we're going to see real results from these pharmaceutical treatments, and soon. At the very least, these new drugs may extend the length of time cancer patients stay in remission. And with luck they may add years to a patient's life — or even lead to an outright cure for some types of cancer. But research on that won't be available for another year. Equally exciting is that the new approach hints at a way to keep metastatic cancer under control for long periods of time, as opposed to jumping from one chemo drug to another as a tumor develops resistance. It turns out you don't need a succession of different chemo drugs to chase after shape-shifting cancer cells. You just need a strong immune system—exactly what cancer advocates like myself, Bill Henderson and Ty Bollinger have been saying for years. That's because immunotherapy drugs (or better yet, natural immune boosters) allow a patient's immune system to keep up with mutations in a tumor. Early results of the new drugs suggest that patients given as few as nine months to live could survive for several years. These new therapies could potentially bring in billions of dollars for the pharmaceutical companies promoting them. Really, it's the first innovative method for attacking cancer in a decade that's come out of Big Pharma. So much research in recent years has gone toward treating uncontrolled cell growth and genetic processes that little progress was made for treating advanced tumors. They see dollars, and lots of 'em. . .
Bristol-Myers is developing a new immune-boosting cancer drug candidate called nivolumab. If it works for lung cancer, as they hope, it could bring in sales close to the recent drug Avastin: $5.8 billion in sales just last year. Made by Roche, Avastin is used to fight colon cancer and other tumors. The concept behind drugs that strengthen the immune system is this: The immune system is able to respond to changes in the body's enemies. Get the immune system to adapt to fighting any dangerous malignancy, and you'll give mutating cancer cells a fair fight. The immune cells are able to change right along with the cancer cells. The new immunotherapy drugs target the immune system's T-cells, well known as our body's key defenders against germs and infections. T-cells have something akin to an off-switch, called PD-1. These new immune-boosting drugs essentially prevent this switch from ever going off. This makes it more likely for T-cells to recognize and attack invading tumors as dangerous. Prior to this, tumors were able to fly under the T-cell radar and weren't immediately recognized as a risk. But—and this is the most important point of all—many experts feel this new revolution in drug design will bring about a paradigm shift for fighting cancer. That is to say, it's a paradigm shift for mainstream medicine. Alternative therapies have focused on the immune system for decades. Merck's senior vice president Gary Gilliland stated immune therapy was the key to finally eradicating tumors. "We are pretty good at shrinking tumors," he said in an interview, "but not good at getting rid of them." This could be the key. Bristol-Myers did something similar two years ago with a drug called Yervoy, tested on patients suffering from advanced, late-stage melanoma. Melanoma is the deadliest form of skin cancer, and indeed one of the deadliest of all cancers. Yervoy doubled the number of patients surviving four years after their diagnosis to 19 percent. This success is what brought the idea of immunotherapy to light in conventional care. Now you might say immunotherapy has officially been accepted into mainstream medicine. A Merck drug, Lambrolizumab, shrank tumors in 38 percent of advanced melanoma patients, with even better results at the highest doses: a 52 percent tumor shrinkage. These immunotherapy drugs have shown such promising results early on that some doctors are speculating that patients with melanoma could be cured. Not just in remission — cured. Nivolumab, the drug in development by Bristol-Myers, is in final-stage trials for patients with lung cancer, kidney tumors, and melanoma. So far, nivolumab has been shown to shrink tumors for between 18 and 28 percent of patients who didn't respond to other treatments. And for 53 patients given a combination dose of nivolumab and Yervoy, 82 percent were alive after a year, which was a better rate than seen with Yervoy alone. The race is on for big drug companies to get their hands on a piece of this pie. Right now, at least six other companies are pursuing tests of immune therapy drugs for patients facing advanced cancer. Much is yet to be discovered, including side effects. Both Bristol-Myers and Merck drug tests showed potential inflammation of the lung as a side effect, among other complications. Isn't it nice that mainstream medicine has finally recognized the immune system as a reliable cancer-fighting strategy? And the field is quickly getting crowded. These PD-1-targeting, tumor-shrinking drugs aren't the only approaches to bolstering the immune system that are being studied right now. Amgen Inc. is testing an anti-cancer virus therapy. Because antibodies and viruses target the immune system in different ways, it's believed an anti-cancer virus approach may produce a synergistic effect when combined with other treatments like the ones being developed at Merck and Bristol-Myers. I think they're on to something. They do, too — Merck senior vice president Gary Gilliland told reporters they have their best people and best teams working on this angle for treatment. The thing to remember, at the heart of this, is the power of the human immune system. Stimulating it leads to great things. Personally, I'd rather stimulate it naturally, with supplements and dietary approaches that don't prompt dramatic, unknown side effect. Refer to our archives for information on the many ways you can boost your immune system naturally, using proven approaches such as chlorella and spirulina supplements, bovine colostrum, and even good old-fashioned exercise. There's so much material on this subject, it's hard to know where to begin, but I suggest you check out Issue #5, Issue #139, Issue #177, Issue #208 and Issue #220. 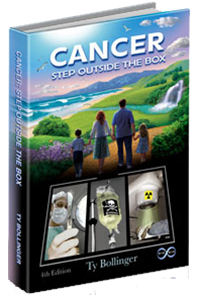 Click here now and watch a new video presentation about this cancer breakthrough. One cancer expert calls this overlooked food "the key to curing AND preventing cancer"—and you can benefit NOW -- without going to a doctor or buying expensive supplements.